Updated learning principles and beliefs supporting a refreshed pedagogy to inform students, teachers, learning organizations, and policymakers. In a very real sense, new kinds of learning require new kinds of teaching. The job description has changed just as much as the learners have. A model for designing contemporary quests. If we are going to support the efforts of new kinds of teachers and upgraded practice in the design of curriculum and assessment, then the rethinking and redesign of schools is critical. A menu of options that planning teams can consider to create new learning environments. We examine the concept of lateral leadership, with formal partnerships appearing to be a natural alternative to one person in charge of everything, and raise the possibility of accountability for innovation and we offer specific tenets for refreshing and modernizing assessment policy. To support thoughtful and conscious policy making on a transparent platform that respects learning, we have drawn up a set of commitments. Educators want to make progress and meaningful moves to support their learners. 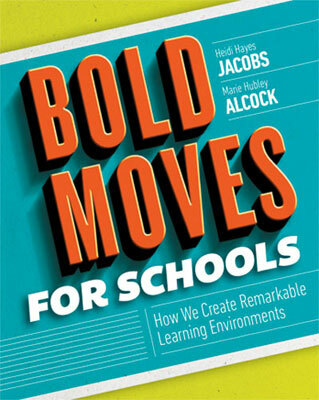 Bold Moves is dedicated to looking at the entire system and the profession highlighting what works, what can be shed, and what can still be created.